Hawaii Shibashukai Shamisen & Kouta-Hauta group is one of the circles in the Hawaii Senior Life Enrichment Association founded in September 2010 with the leadership of Shamisen Maestro Kasuga Toyoshibashu. The group performed a charity concert at the Kuakini Hospital in 2011 and a recital at the Ala Moana Hotel in 2012. 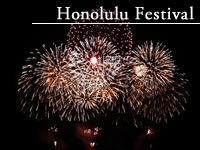 This is the second performance at the Honolulu Festival following the one in 2012.